Click here to download The 46th Quarterly C-Suite Survey: The Trump Admin. And what it's decision making means for Canada, implication for the economy, trade negotiations, Canada-US relations and immigration policy. Trump’s temperament remains a key sticking point for CEOs"
"C-Suite results: Business leaders vary on Keystone’s positive impact"
"Canadian executives offer a mixed bag of perspectives on U.S. President’s performance"
BNN: "C-Suite survey shows economic confidence hits three-year high, but Trump casts long shadow"
David Herle on BNN: "Canada's C-Suite looks at positives of the Trump administration"
Click here for "Executives’ confidence in the economy both shaken and a bit stirred"
Click here to see BNN's coverage of the 30th Quarterly C-Suite Study, including interviews with David Herle and Willy Kruh on "The Street"
Click here to read: "Federal spending cuts with a scalpel, not an axe, executives argue"
Click here to view the 20th Quarterly C-Suite Survey Report. The Globe and Mail: "C-Suite Survey: Executives see innovation as key"
Click here to view "The state of the Canadian and global economy and world trade in the context of the upcoming G20 and G8 summit"
Click here to view the archived documents. Click here to view "The 18th Quarterly C-Suite Survey: The Economy and Viewpoints on the 2010 Federal Budget"
Click here to view coverage March 29th's C-Suite Survey coverage in the Report on Business "
Click here to view "The 17th Quarterly C-Suite Survey: 2009 in Review and the Challenges of 2010 and Beyond". Click here to review the Report on Business's December 21 coverage of the C-Suite Survey: "A Stand in Support of Stimulus"
Click here to read "David Herle's December 21 op-ed in the Report on Business"
Click here to view "C-Suite Survey Presentation: The Economic Outlook". Click here to view "C-Suite Survey Executive Summary: The Economic Outlook"
Click here to view "C-Suite Survey Presentation: The Federal Budget and the Economic Outlook". Click here to view "C-Suite Survey Executive Summary: The Federal Budget and the Economic Outlook". Click here to view "C-Suite Survey Presentation: Responses to the Economic Downturn". Click here to view "C-Suite Survey Executive Summary: Responses to the Economic Downturn". Click here to view "BNN C-Suite Survey Television Special"
Click here to view "C-Suite Survey: The Credit Crunch". Click here to view "C-Suite Survey Executive Summary: The Credit Crunch". Click here to view "BNN C-Suite Survey Television Special". Click here to view "Report on Business C-Suite Survey: "Gloomy CEOs feeling the pinch of tight credit". Click here to view "Report on Business article: "Financing key to restoring confidence". 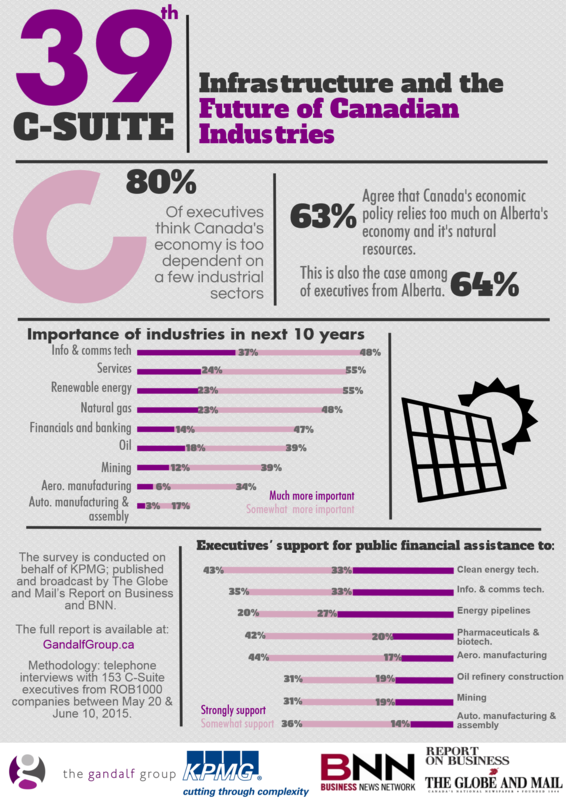 Click here to view "C-Suite Survey: Carbon Tax and Environmental Measures". Click here to view "Executive Summary re. C-Suite Quarterly Survey". Click here to view "Report on Business C-Suite Survey: Green Cause Hurt By Weak Economy". Click here to view "Report on Business article: Greens Begin to Fade". Click here to view "C-Suite Survey On The Budget and the Economy". Click here to view "Report on Business C-Suite Survey: As clouds gather, optimism persists". Click here to view "C-Suite Survey On The Canadian Dollar". Click here to view "Globe and Mail article: The perils of following a wounded elephant's tracks". Click here to view "Globe and Mail article: How to stop fretting and live with the higher dollar". Click here to view "Globe and Mail article: C-Suite and the dollar". Click here to view "C-Suite Survey On Human Resources and Skilled Labour Shortages" presentation. Click here to view "Inside the Data" press release. Click here to view "Report on Business C-Suite Survey: Labour Shortages". Click here to view "Globe and Mail article: The CEO's Hiring Challenge"
Click here to view "C-Suite Survey On The Role of Private Equity” presentation. Click here to view "Report on Business C-Suite Survey: Private Equity". Click here to view "C-Suite Survey On Climate Change” presentation. Click here to view "C-Suite Explanatory Memo". Click here to view "Winner of Charitable Donation Letter". Click here to view "C-Suite Survey Television Special - ROB". Click here to view "C-Suite Survey On Income Trust" presentation. Click here to view "C-Suite Survey Foreign Ownership and the Canadian Economy" presentation. Click here to view "C-Suite Survey On Federal Budget and Productivity" presentation. 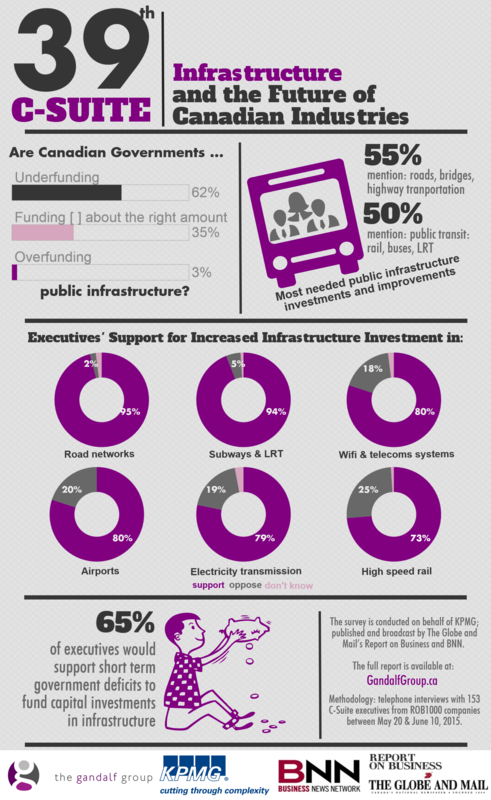 The survey looked at federal priorities for the new federal government, and includes findings on the state of the economy, Canada-U.S. relations, policy priorities and expectations for the new government.